Ok, so you have your new fence installed to protect your property or beautify your yard. You may be thinking that you won't be doing much with the fence again for some time. For the most part this could be true, but there is one part of a fence system that you may actually be dealing with on a daily basis, the gates. At American Fence Erectors we are well aware of this and try to always error on the side of "too much" when it comes to the gates and gate posts. This may mean a little bit larger gate post, more concrete on the gate posts than may be necessary, or welding the gates from a heavier gauge pipe. We weld gates in our shop, so we can tailor make them to suit each job as needed. This undoubtedly costs more, but gates are no place to cut corners or they could turn out to be a big source of aggravation. If you have invested in the installation of a fence around your property to protect and secure the area, the fence won't be able to do the job properly if someone forgets to close the gates. This is where gate operators give you an additional level of security and convenience, as well as providing you peace of mind. With trained, in house installers we can help you design and install a functional and safe automated gate system to fit your needs. Whether you are looking for a cantilever slide gate to keep unwanted visitors out of your place of business or you are in need of a grand entrance to your home complete with estate gates, we can do it. We are a Linear Pro Access dealer so we have many product options available to suit your needs. A gate operator and the conveniences it provides, can be an improvement to your quality of life, however, they are powerful machines and safety can not be neglected. There is more to the system than just powering up an operator and connecting it to a gate. Fortunately, there is a code that can and should be followed when installing a gate operator. This code is UL 325 and it specifically deals with motorized gates, doors, windows, and draperies. Reputable gate operator manufacturers go to extensive lengths to have their operators certified to meet the UL 325 standards, but that is only one component of an entire system that would qualify the system as UL 325 compliant. The installer plays a major role in getting the entire system to meet UL325. There are many considerations that need to be accounted for depending on your application. Just a few examples of these are screening on an entire slide gate and the fence directly along the gate's path, roller covers, photo eyes or bump edges, and loops in the driveway. It is also very important to realize that no motorized gate is intended for use by pedestrians. 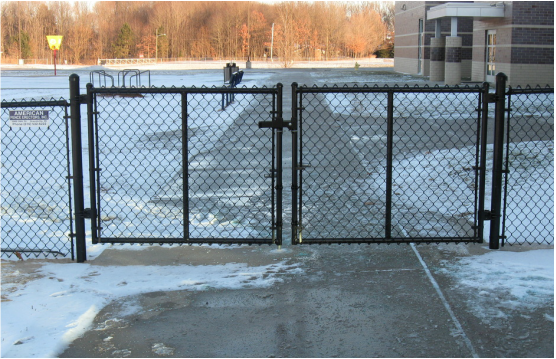 Talk with us to explore a safe and reliable gate installation.